Aston Martin intends to put the concept that we will see in Geneva into production - the first of several models planned - including one that was previewed in Geneva a year ago and was decidedly not an SUV. The SUV will be based on the same platform as the Lagonda luxury saloon that was revealed earlier. Along with the obligatory raised stance, it'll likely be similarly left field; upon entering production, however, expect a more practical set of doors and a less unconventional interior layout to bring Lagonda's imaginative concept back down to earth. The modern incarnation of Aston Martin's luxury branch-Lagonda-has long grappled with the concept of future automotive, offering up a near-£700,000 (P47.5 million) V12 luxury sedan (Taraf), and last year's dazzling Vision Concept. The auto, of course, will also come with the carmaker's new fully-electric powertrain technologies. It is here that Aston Martin will be showcasing its nearly production ready Lagonda all-terrain SUV concept. Having been teased last spring, we already know it will borrow heavily from the design language previewed by Vision Concept. Last year, the automaker also said that it intends to make the SUV a genuine rival to the Rolls-Royce Cullinan, which we understood to be a rival more in price and exclusivity than curb weight or sheer size - it's hard to picture Aston Martin design language stretched to the size of a Range Rover competitor. Get ready for an all-electric, super-luxury SUV with some serious British heritage, as Aston Martin promises a reveal of the off-roader that will relaunch its Lagonda nameplate. 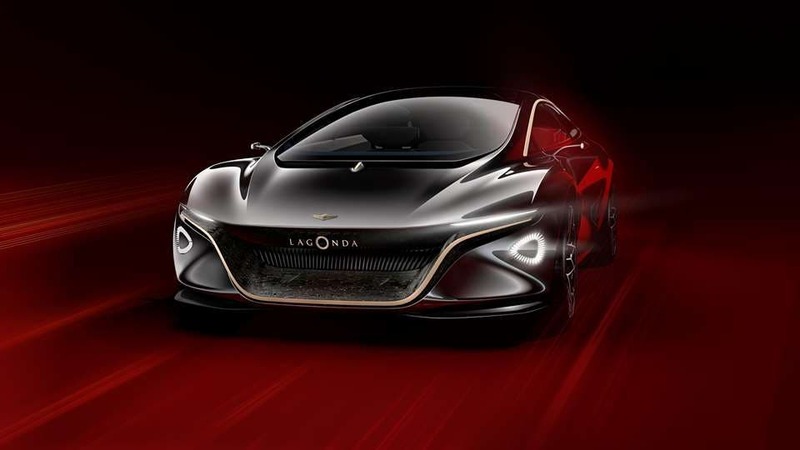 The sports-car maker outlined its plans for the brand at last year's Geneva show when it unveiled of the Lagonda Vision Concept sedan. While not much is known yet about the powertrain, we do know that both these electric vehicles will feature 4 motors on each corner for an effective 4-wheel drive powertrain. Expect full details of the Lagonda All-Terrain Concept at the Geneva show's first media day, on March 5.